Lotteria is a fast food chain in Japan that is often overshadowed by its big rivals McDonald’s and MOS Burger. 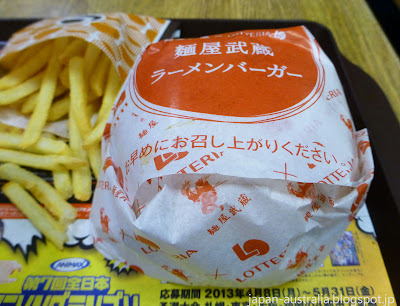 Lotteria always has an interesting menu with a great variety of choices and some unique burger selections. 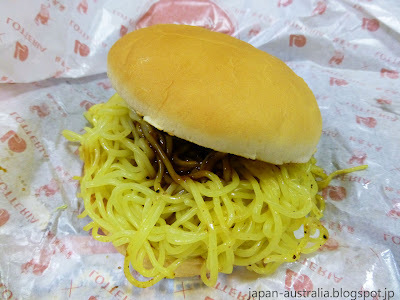 This month they released their latest creation: The Ramen Burger. The Menya Musashi Ramen Burger has been developed in collaboration with the famous Japanese ramen restaurant chain “Menya Musashi”. 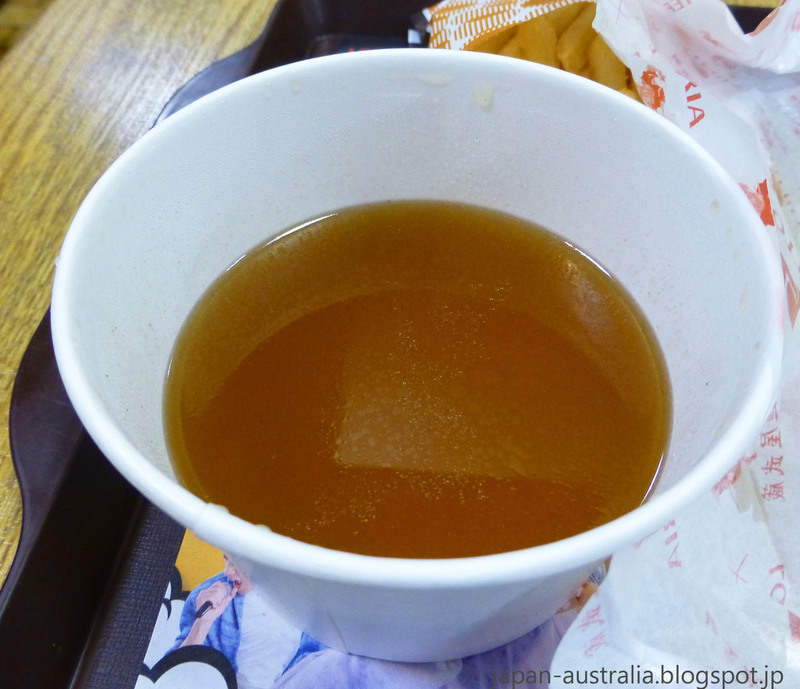 The chain is popular for its ramen broth which is made from katsu dashi (bonito stock). 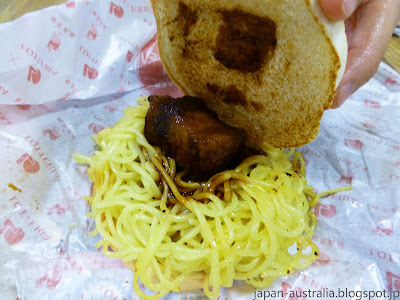 The Menya Musashi Ramen Burger features such ramen staples as disposable chopsticks, ramen broth, and even an option for “Kaedama” or a second serving of noodles. The Menya Musashi Ramen Burger is on sale for a limited time only from May 20 until mid-June. What’s in the Menya Musashi Ramen Burger? It consists of ramen noodles that have been seasoned and lightly grilled (in replace of your traditional patty). It is topped with mayonnaise and chashu (barbecued pork) in sweet brown sauce. The ramen broth is made from katsuo dashi (bonito stock). The Menya Musashi Ramen Burger is available for 634 yen (USD$6.30) and extra noodles (kaedama) will cost you 100 yen (USD$1) each. How does it taste? It doesn't taste as bad as we expected. The ramen noodles are tasty but a little oily and remind us of yakisoba. I thought they would be more カリカリ (crunchy). The sauce is probably the best part of the burger with the mayonnaise and sweet brown sauce proving to be a tasty combination. 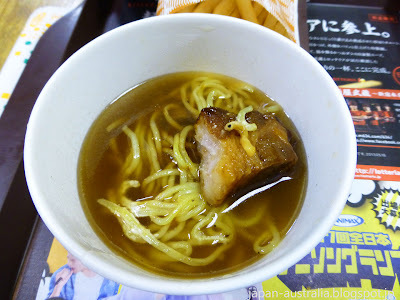 The chashu is fatty just like good chashu should be and the ramen broth is very good and has a strong flavour. We ended up eating half the burger and then putting the rest of the noodles and chashu into the ramen broth to enjoy it that way. Two different types of meals in one. What do you think? What you be willing to give the Menya Musashi Ramen Burger a try? I was going to say carbo-overload, but then I realized ... if we can eat a hamburger roll plus French fries, why not a hamburger roll plus noodles? Thanks Ru, Yeah totally! Why can't we! Not something I would recommend for every day but an unusual taste and very interesting. Honestly, you would have to pay me money to try that!